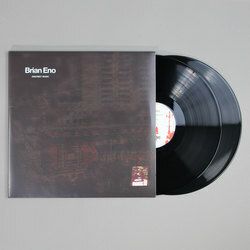 Brian Eno - 2018 Reissue Bundle. Bleep. 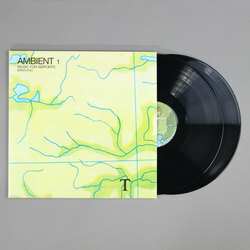 UMC/Virgin present deluxe reissues of Brian Eno's pioneering ambient albums Discreet Music, Music For Films, Ambient 1 (Music For Airports) and Ambient 4 (On Land). Discreet Music was influenced by the "furniture music" concept devised by Erik Satie. Discreet Music was created to play in, and blend with, the subtle background audio of various, or any given, situation. Arguably the first true 'ambient' album and one that's influence and textures will still resonate with you long after the music has reached its conclusion. 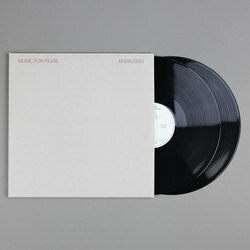 Music For Films is a loose compilation of material recorded over a three year period between 1975 and 1978, each of its tracks was a snapshot of the long, sprawling ambient pieces he would later become known for. Music For Films is also notable for featuring a range of compositional styles and equipment that Eno also carried over onto his work on David Bowie's 1977 album Low. Ambient 1 - Music For Airports was created with the intent of defusing the tense, anxious atmosphere of an airport terminal with its endlessly spooling tape loops. An incredibly atmospheric exercise in minimalism and a perfect antidote to release the tensions of terminal boredom due to delayed flights. 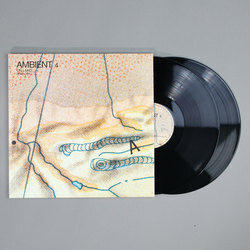 Ambient 4: On Land is a mixture of synthesizer-based notes and nature/animal recordings. By far one of the darkest recordings within the Ambient series, Eno quotes: "On the whole, On Land is quite a disturbed landscape: some of the undertones deliberately threaten the overtones, so you get the pastoral prettiness on top, but underneath there's a dissonance that's like an impending earthquake". Each album has been remastered at half-speed at Abbey Road Studios and is presented as a heavyweight 45 rpm double vinyl edition, housed in a deluxe limited edition gatefold sleeve.